Thanks so much for being a part of our tremendous party Nov 10th ! 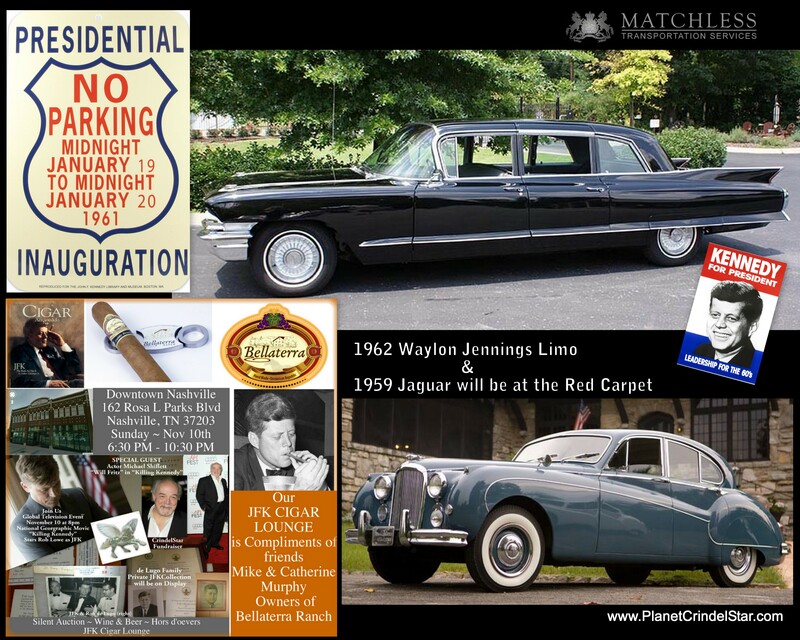 You can link to party pictures & also blog article here at TropicHeatStudios.com – weren’t those vintage cars gorgeous ? ! 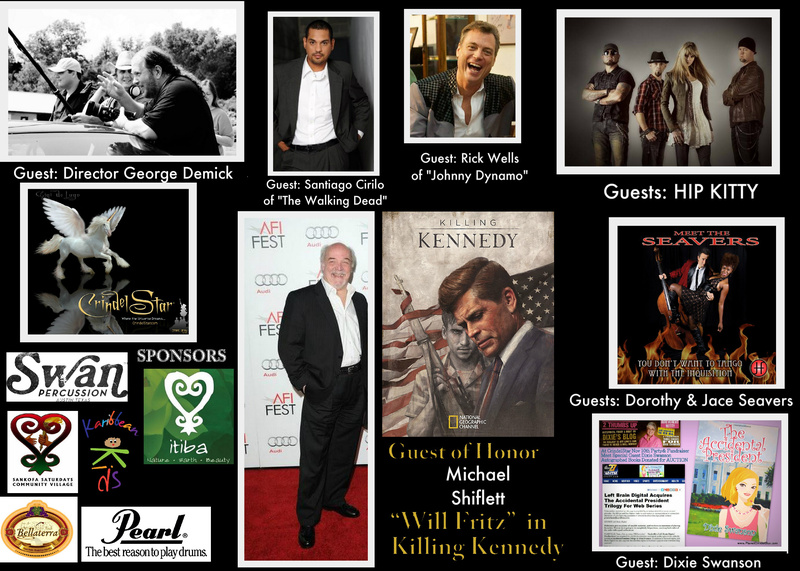 What a night – such great guests & friends ! I hope you might take a moment and explore the wonderful project that is reaching school children with a message of Peace. Below is a picture collage of a few highlights from the last two months – which I am incredibly proud of – so many wonderful humans contributed to CrindelStar’s travels & success ! But – our goals have barely been attained and with your help, we can continue into 2014 reaching more children, classrooms, and communities ~ planting the seeds of peace inspired through the CrindelStar story & songs from International Artists for Peace. Thank you for your contribution & support of this beautiful project that has been my life’s work & joy. 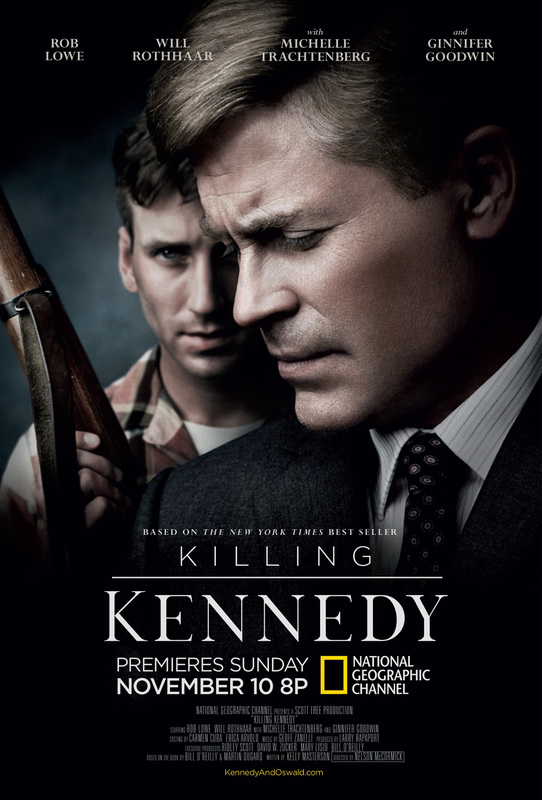 “LINCOLN” by Steven Spielberg…I play Senator RMT Hunter …in his masterpiece..
“KILLING KENNEDY” by Ridley Scott …director: Nelson McCormick…I play Will Fritz…chief investigator of lee Harvey Oswald…. THEATER:” Greetings”…. as Phil Gorski…lead actor…. 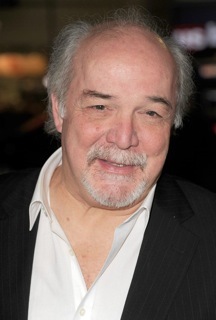 SINGER: backup singer/musician with Johnny Mathis, Barbra Streisand, Dione Warwick. Toyota Tercel, Jordache Jeans, Power Rangers. 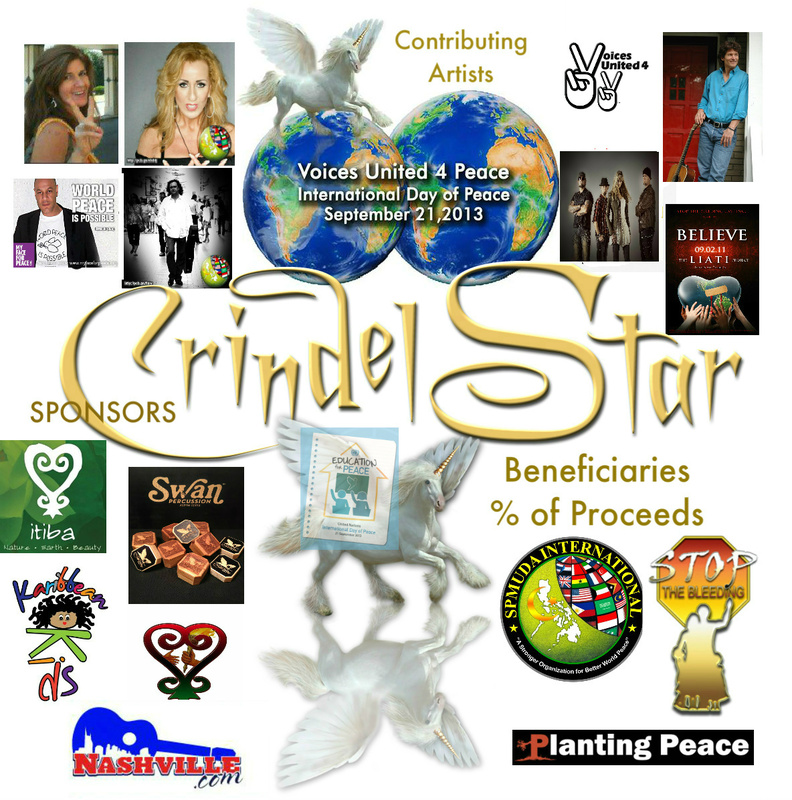 This Nashville Event is a Fundraiser for ” Planet CrindelStar ~ Changing The Message” Anti-Bullying Outreach. 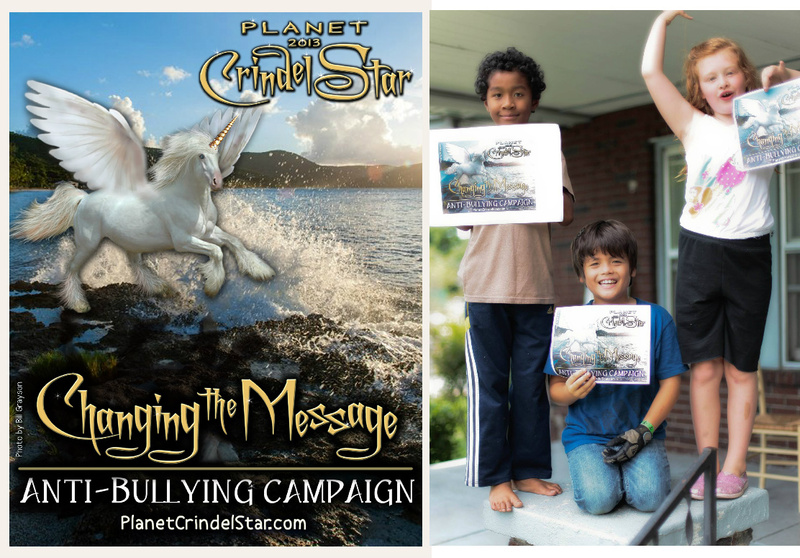 October is National Bullying Prevention Month – & Planet CrindelStar will be delivering our Parent & Teacher endorsed Audio Album to classrooms and schools. Your contribution helps us reach more kids and truly “Change The Message” on bullying in our schools. Each Level Contribution will Include a Gift of the Planet CrindelStar Album mp3 Download Card & an mp3 download card of Halloween Party’s Award Winning Soundtrack Album as our thanks for your contribution. We can mail you your Albums or you can pick them up at the Theater the night of our Event.Please Reserve Your Tickets Right Away ! 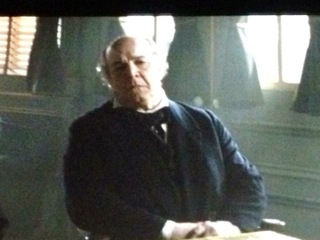 You will not be charged until we meet the minimum quota required of attendees. Click on the Image Below to Go Direct to Nashville site & the link in the next line below to reach the Pensacola event site. 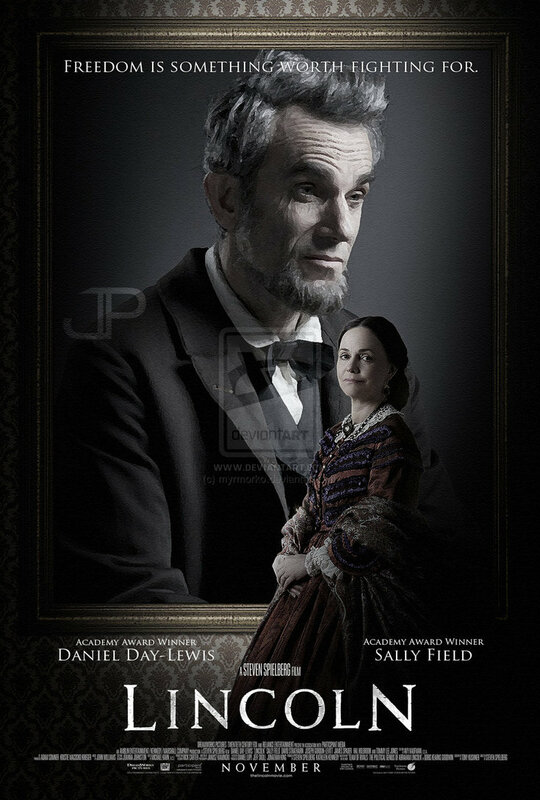 ~~ Tickets cannot be purchased at the theater as these are Special Events & must be purchased online. Please do make your Reservations right away. Tickets are $10 –Nashville Oct 23rd & $11 –Pensacola Florida Oct 3oth With a Separate Option to Donate to the Fundraiser in addition to the ticket price. If you are unable to attend, consider gifting tickets to Teachers or Artists, or your Clients / Employees ! For added Fun – attend the event in COSTUME ! We Need Your Partnership ! Total costs plus shipping (U.S.) & handling per 100 packs (Enough for Four Classrooms & Six Teachers’ packs) is $375. As we reach $375 in Contributions, Sales or Custom Orders – we manufacture and begin designated delivery to 4 classrooms / 100 Children ! There are many ways you can be involved – either as a Sponsoring business/individual, or via a tax-deductible contribution (see below), or by helping us share this page to help raise awareness. 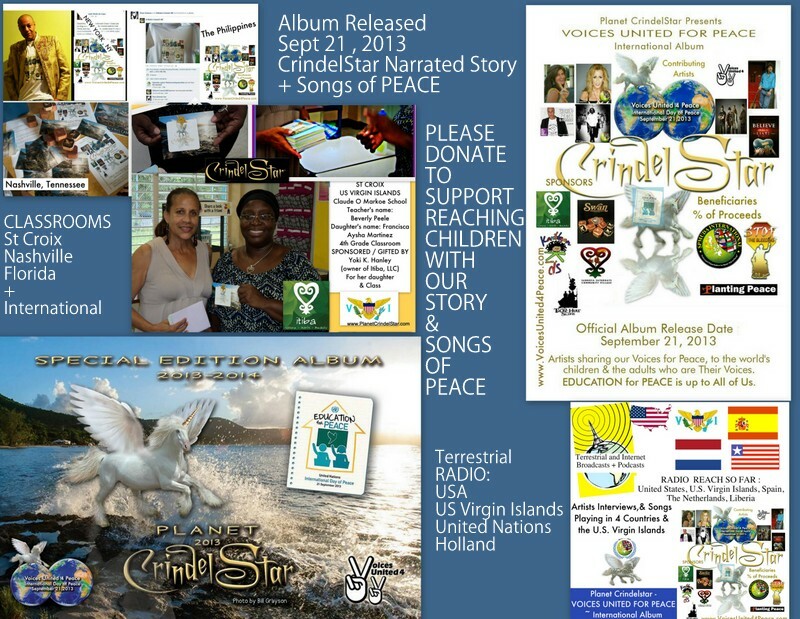 Our goal is to continue bringing Planet CrindelStar’s message – story and song album and upcoming book, “Planet CrindelStar – Maria’s Dream”- to more children all across the United States and U.S. Virgin Islands ~ as we Change The Message on Bullying – teaching Peace & positive self-esteem. We all know the chaos and tragedies occurring in our schools that are affecting our entire country. CrindelStar has been bringing her parent & teacher endorsed message of joy, hope, peace and love – to a generation of children that have seen far too little of that in their lifetime. It’s time we were all part of “Changing The Message” for our children, and we encourage you to join us. Creator of a brighter future – no matter the storms we have witnessed. Will Receive an Author autographed copy of “Planet CrindelStar” book when published. A believer is one who continues to know in their heart that children are the magic in this world & the hope for our future. A believer encourages Hope, Faith, and Unconditional Love & empowers others who encourage these principles. “Believers” will receive an Author autographed copy of the “Planet CrindelStar” book once published. A U.S. Virgin Islander, living at home or away from home, seeking to contribute a positive spark to our next generation. Donor will receive an Author autographed copy of the “Planet CrindelStar” book when published. You’ve visited & fallen in love with our beautiful Virgin Islands and seek to contribute a positive spark to our next generation. Donor will receive an Author autographed copy of the “Planet CrindelStar” book when published. Your contribution will greatly support our book printing and publication costs allowing us to bring more CrindelStar books to the school children & communities.Unicorn Wings donation sponsors will immediately receive a copy of the NEW Planet CrindelStar “Voices United For Peace” International Album, and an autographed copy of the “Planet CrindelStar ~ Maria’s Dream” book when published. Your contribution will be a major support to our book printing and publication costs allowing us to bring more CrindelStar books to the school children & communities.CO-PRODUCER donation sponsors will immediately receive a copy of the NEW Planet CrindelStar “Voices United For Peace” International Album, and 5 (five) autographed copies of the “Planet CrindelStar ~ Maria’s Dream” book when published. 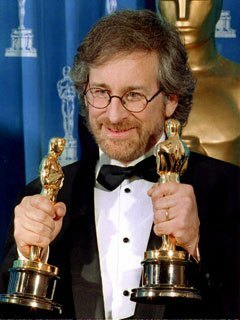 CO-PRODUCER sponsors will also be featured on a “Thank You” page of our website and in our book announcement Press Release. Call To Action ~ Planet CrindelStar Songs.